Celtic Manor is a luxury five-star resort in South Wales. You may know it as the venue for the 2010 Ryder Cup, but the three 18-hole golf courses are merely the tip of the iceberg! Visitors can also take advantage of six restaurants, two spas, a country inn, a high ropes course, laser combat and all kinds of other fantastic facilities. 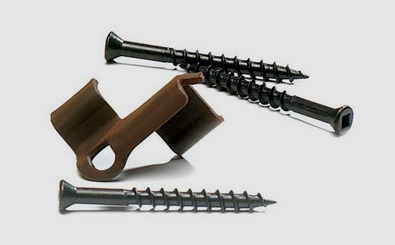 TimberTech recently received a call from Lodgico, a contracting company specialising in the design and construction of timber lodges. 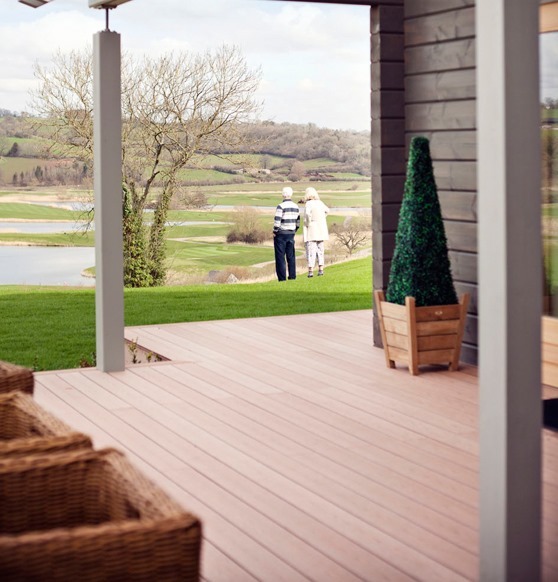 The management team at Celtic Manor had asked Lodgico to build 10 new luxury lodges on the resort, and they were looking for some high-quality lodge decking to incorporate into their designs. Being a Cardiff-based company, we were already well aware of the Celtic Manor Resort and its reputation for high-end luxury. The idea that our decking products might soon be part of this spectacular and iconic Welsh venue was a thrilling one indeed! The representative from Lodgico contacted our sales assistant Sharif to discuss the requirements for the Celtic Manor lodges. 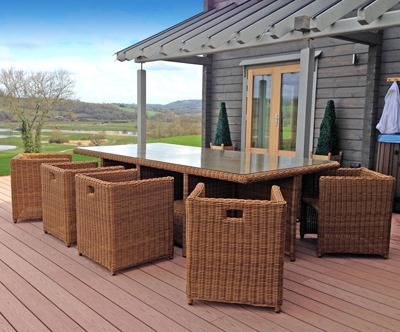 To get the ball rolling, they ordered a free sample of our Reliaboard decking in Cedar; a very natural-looking choice, ideal for the magnificent surroundings of the Usk Valley. It all starts with a sample! We sent out the sample, along with a copy of our full colour brochure, and it wasn’t long before we got a response. 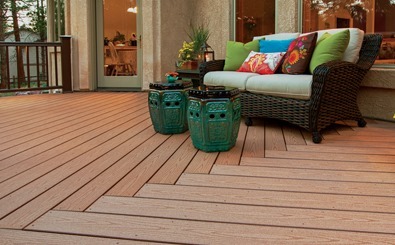 Lodgico and Celtic Manor were both very impressed with the sample, and they were keen to use our deck boards for the Hunter Lodges. 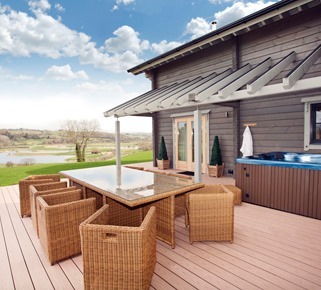 As you’d expect, the Celtic Manor lodges look absolutely stunning now that they’re finished, and the Reliaboard decking is a big part of that. The Cedar colour is a good match for the lodges’ natural timber door frames, and as we’ve already mentioned, the appealingly natural design is utterly perfect for the location. 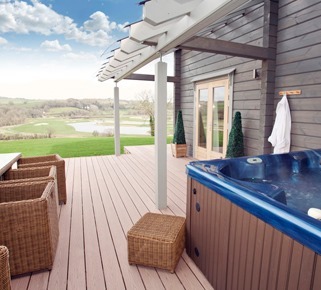 Our lodge decking means that visitors have the perfect place to enjoy their view of the Usk Valley, whether they’re sat outdoors for an evening meal or relaxing in a luxurious hot tub. We’d like to congratulate Lodgico on their fantastic designs for the Celtic Manor lodges, and we hope they’re happy with the materials that we supplied!